1. 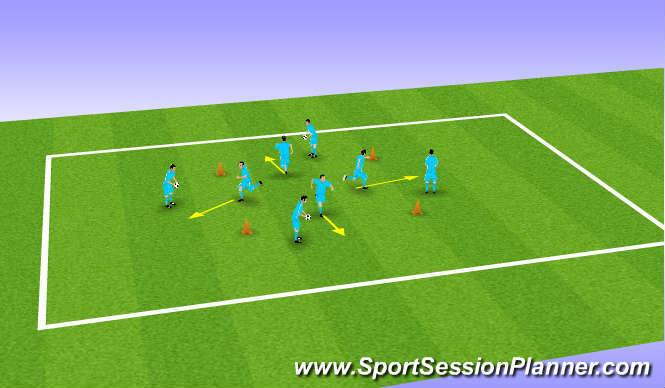 Four players on outside with a ball each four players inside cones who run out of cones reciving on outside and pass on inside to player with out a ball. 2. As above but players receive inside cones and pass out side of cones. Red v Blue 4 v 4 with 5 gates on pitch pass through to a teammate to score. 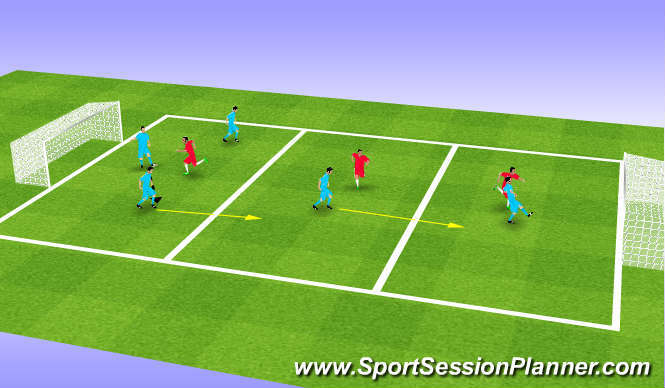 3 v 1 in defending third play into middle third and join in to make 2 v 1 play into final third join in to make 2 v 1.
passing, reciving, running with the ball. understand support,vision, when to make runs , create an overload. running,agility, balance and co ordination. players maintained self control in competitive practice. Players performed well in session but need more understanding of when to make runs and type of run.